Our personalized prints look beautiful framed and make wonderful and unique gifts for all ages! "It is said that when a child is born, their name is written into the book of life." 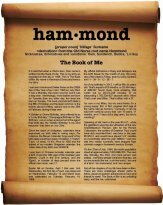 This unique and wonderful keepsake print contains several paragraphs of fun, interesting facts and accurate data specific to the owner and their birthday. The young and old appreciate reading about themselves in this print which is all about them. 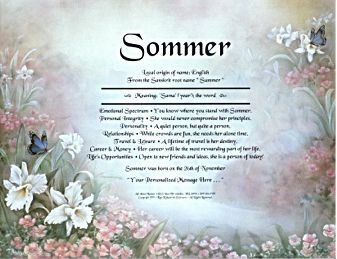 The print includes the meaning of your name, the local origin, the day you were born, the phase of the moon, birthstone, birth flower, lucky day of the week, lucky numbers, dog years, world population and sooo much more. A high-quality front page of a newspaper for the day you were born. Laser printed on 8½" x 11" parchment paper. 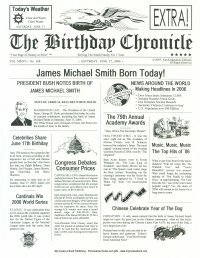 The Birthday Chronicle covers information about the year you were born, including what was going on in world news, sports, what movies and songs were popular, which famous people share your birthday, what the prices of common goods were (bread, milk, etc.) and more! What happened the day you were born? The "Birthday Chronicle" makes a great personalized gift!!! 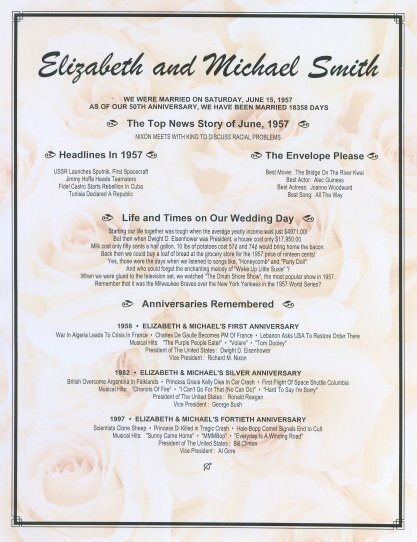 We can print birthdays from 1/1/1900 to 12/31/2011. 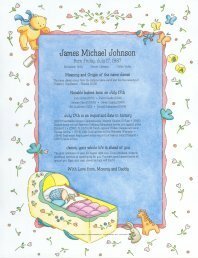 Our First Name Origin sheet is printed on your choice of our beautiful, high-quality background designs with unique information about your first name. The customized print will includes the meaning of your name, local origin, astrological information, lucky numbers and other personal traits. We have many backgrounds designs to choose from. Something to satisfy every taste and any occasion. Some backgrounds allow for 2 names on one print. Our database includes over 18,500 first names! These unique personalized poems are designed using your first name. Each line begins with a letter of the name, followed by personality trait for each letter. All of this information is printed on one of our many colorful backgrounds designs. Our name poem prints are cute, fun, makes a great gift, and are guaranteed to bring a smile. Everyone has a Guardian Angel assigned to him at birth. Your birth date determines which Angel is given the duty to protect you throughout your lifetime. There are seventy-two Guardian Angels grouped into nine "Choirs' or families of eight each . Each "choir" has a Prince Archangel that leads his family of Angels. 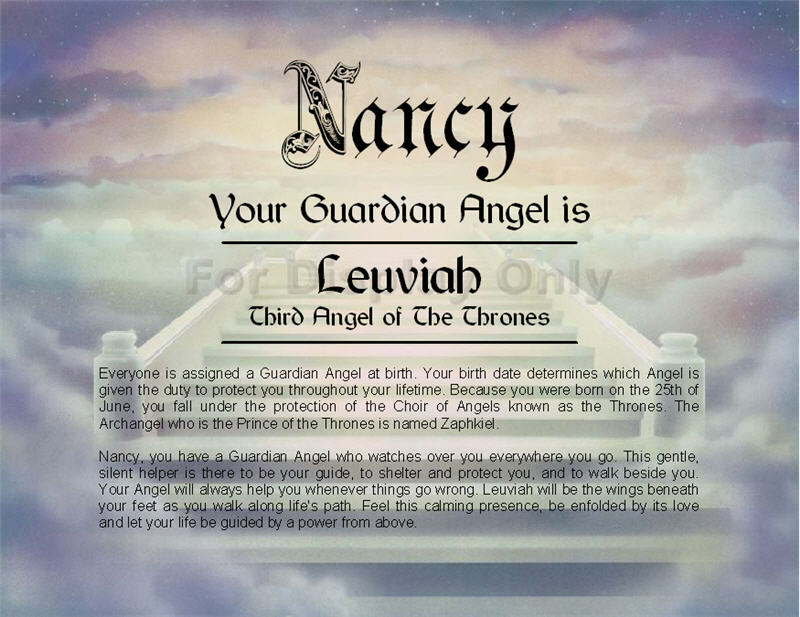 This software creates a presentation quality certificate showing a biblically accurate description and name of your personal Guardian Angel. Treasured Keepsakes for Newborns. The perfect gift for the proud new parents or to the lovable baby. Comes in two adorable backgrounds. Print includes the meaning and origin of the baby's first name. Baby's birthstone, flower and color. Things that have happened in history on baby's birthday. Famous people that share baby's birthday. Record babies birth statistics in the cute colorful keepsake print. Includes baby's name, date of birth, time of birth, weight and length. Makes a nice gift for newborns to hang in the nursery! 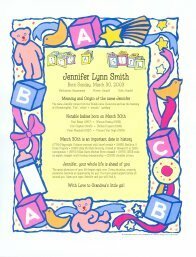 The child's name is spelled out in colorful baby-blocks and the vital birth statistics are printed beneath. Features a poem about their little hand prints and a place to the left and right of the verse for the children to actually imprint their own hand prints. The Child's first name is printed in colorful Baby-Blocks! A great gift for Mom, Dad or Grandparents that will be loved and cherished for a lifetime. 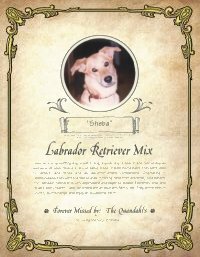 This wonderful pet pedigree certificate contains the name of your dog, the breed name, a paragraph about the breed, along with the owner's name and a place for a photograph of the pet. Can be printed in portrait or landscape and is suitable for framing. 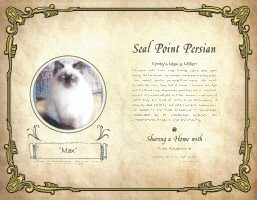 This wonderful pet pedigree certificate contains the name of your cat, the breed name, a paragraph about the breed, along with the owner's name and a place for a photograph of the pet. Can be printed in portrait or landscape and is suitable for framing. 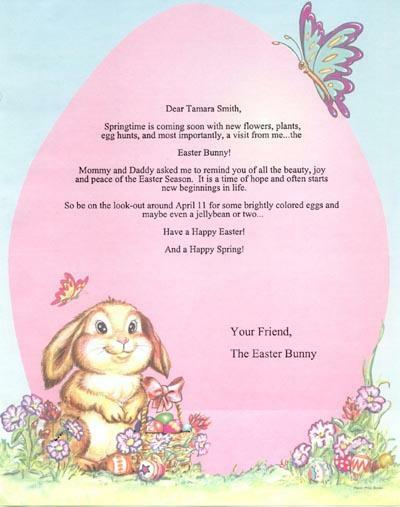 Your child can get his or her very own personalized letter from the Easter Bunny. Each letter comes in its own special envelope addressed to your child. 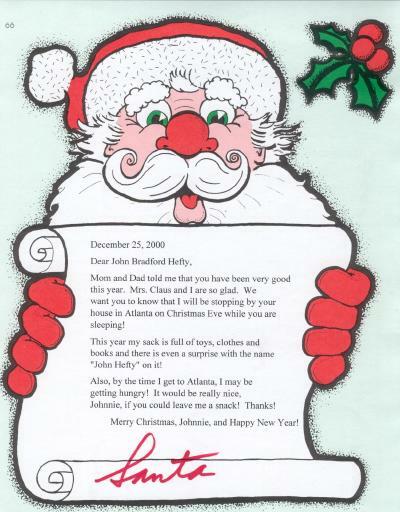 Your child can get his or her very own personalized letter from Santa Claus. Each letter comes in its own special envelope addressed to your child. Not every child gets their very own personalized letter from the Tooth Fairy herself! 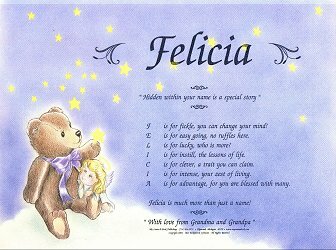 Each letter comes in its own special envelope addressed to your child. 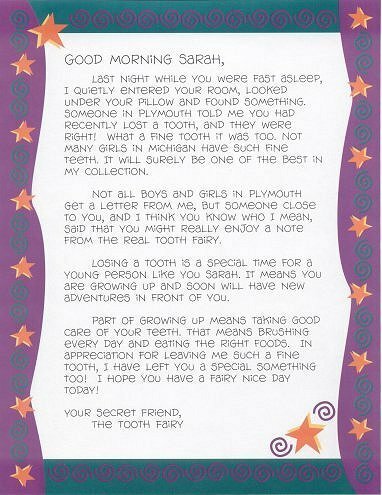 Order this letter from the Tooth Fairy now and be prepared for that special day when your child loses his or her first tooth. Make this important milestone a moment to remember. Kid's love stickers!! They will especially love these stickers with their names on them. 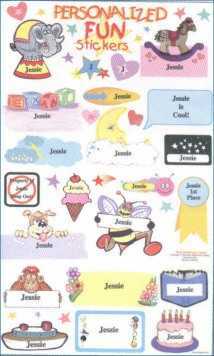 These fun stickers on a sheet 8 1/2" X 14" can be placed just about anywhere. A great idea for personalizing kids school items. They are bright, colorful, cool and FUN for all ages.